This past week Kindergartners experimented with tying shoelaces before they were given any instructions on "how to tie". This way they were able to use observation of what they were doing and the result. Afterward they watched videos that went through a variety of steps to show the many options for tying shoes, and answered the questions they had about tying shoes. This week, they will be applying what they learn. We will also talk about how telling yourself you can do something hard is a great way to help yourself be successful. Just one more important step in becoming INDEPENDENT. 1st graders have found a few answers to their questions about clouds. 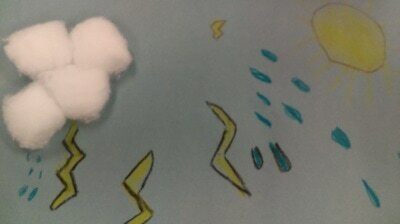 All classes were able to observe clouds and make predictions about how the clouds affected the weather. 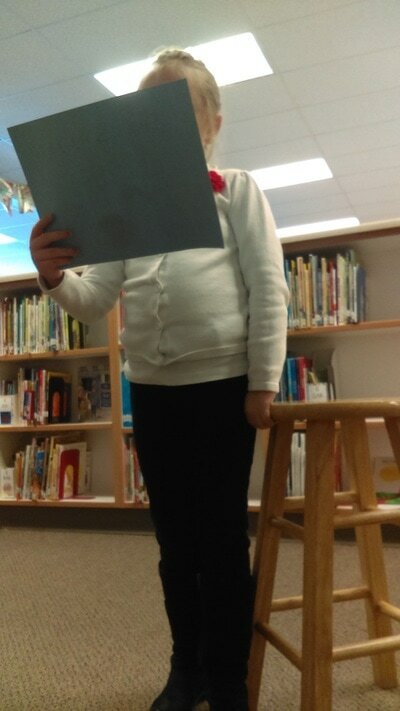 We also read in books to find answers to questions. This week we will be getting to the CLASSIFICATION of clouds. 2nd graders have been told the animal they will become the expert on and have brainstormed great questions about their HABITAT, BEHAVIOR, and INTERACTION. They will start looking in books for answers to these questions. 3rd grade brainstormed great questions for CULTURE, HISTORY, and TRADITION. 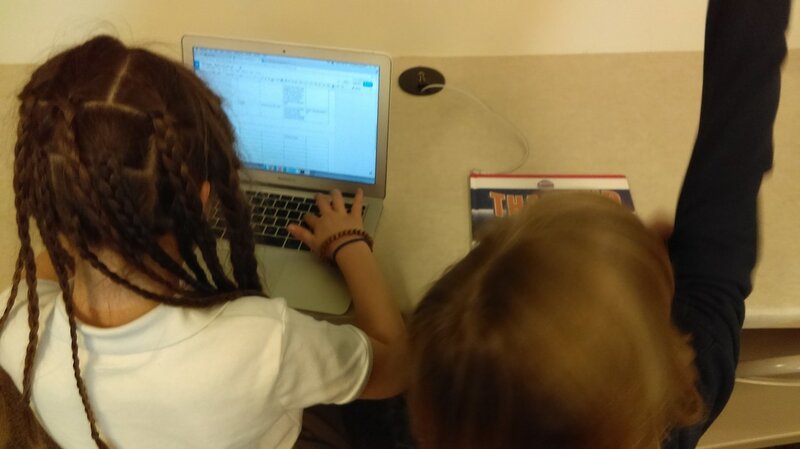 They created the success criteria (rubric) for their research and for partner work, as they will be doing this project with a partner. They will begin researching with books and online.culturegrams.com/. 4th grade similar to 3rd brainstormed great questions for their concepts; DISCOVERY, GEOGRAPHY, IDENTITY. They too created success criteria (rubric) for their research and partner work. They will begin using the internet to research the county they had selected. 5th grade will explore issues that could/do affect education and discuss it in groups. They are becoming familiar with issues in preparation for exhibition. Most Kindergartners mastered the beginning knot for tying shoes. Which means that they will be moving on LOTS OF PRACTICE to master the rest. We are always trying to talk about how telling yourself you can do something hard is a great way to help yourself be successful. Just one more important step in becoming INDEPENDENT. Some students have tying shoes mastered and are now called "mini teachers" and help their peers with achieving this goal. This last week we had some great clouds and weather to observe. We had mostly Stratus clouds, but we were able to talk about the other 2 basic cloud types and discuss how they are CLASSIFIED. 2nd graders will begin extracting information from books to answer their great questions about HABITAT, BEHAVIOR, and INTERACTION. 5th grade will be asked the question :How to make the world a better place. 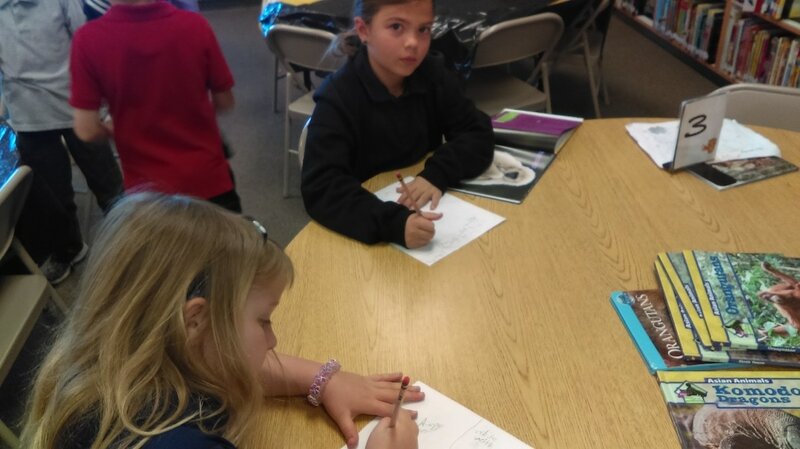 They will work in groups to brainstorm things that they think could make the world better- this will be an introduction into global issues that they can begin brainstorming things that are important to them and that they can come up with action plans. In Kindergarten we are always trying to talk about how telling yourself you can do something hard is a great way to help yourself be successful. Just one more important step in becoming INDEPENDENT. Some students have tying shoes mastered and are now called "mini teachers" and help their peers with achieving this goal. The rest are continuing to practice tying shoes. In 1st grade we only have a few more questions that haven't been answered through our research. We will probably finish up our research this week. 2nd graders began extracting information from books to answer their great questions about HABITAT, BEHAVIOR, and INTERACTION. They are super excited to learn these new things about the animal they chose. 3rd graders have been accessing google classroom to take their notes in their partnerships. 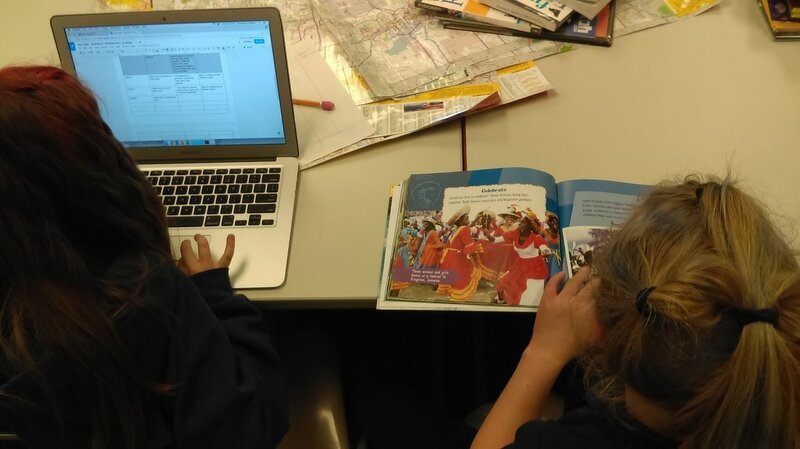 They will begin their extraction and note taking on the concepts of CULTURE, TRADITION, and HISTORY. 4th grade started looking into their great questions for their concepts; DISCOVERY, GEOGRAPHY, IDENTITY. They began using the internet to research the county they had selected in partnerships. 5th grade wrote their responses to the question, How to make the world a better place. This week we will read from If the World Were a Village or If America Were a Village and discuss what issues really affect the whole world. In 1st grade will begin on their cloud diagram project to show what they learned from our cloud research. 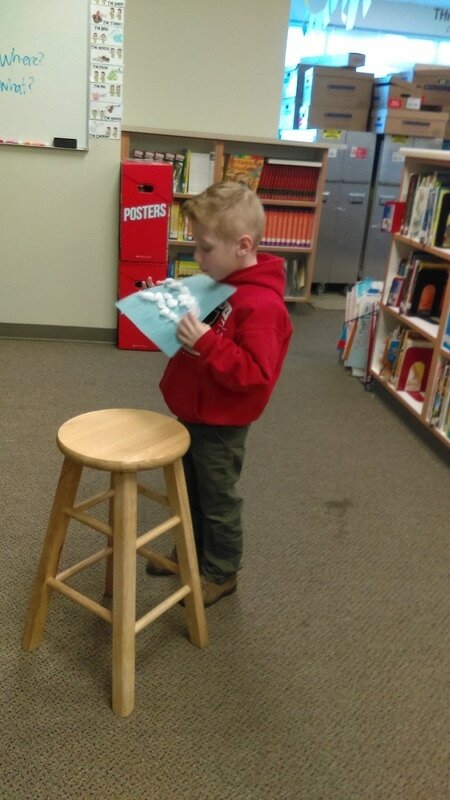 Students will be using cotton balls, paper, and glue to make the diagram. 2nd graders began extracting information from books to answer their great questions about HABITAT, BEHAVIOR, and INTERACTION. They have answered one question. They are super excited to learn these new things about the animal they chose. 3rd graders have been accessing google classroom to take their notes in their partnerships. 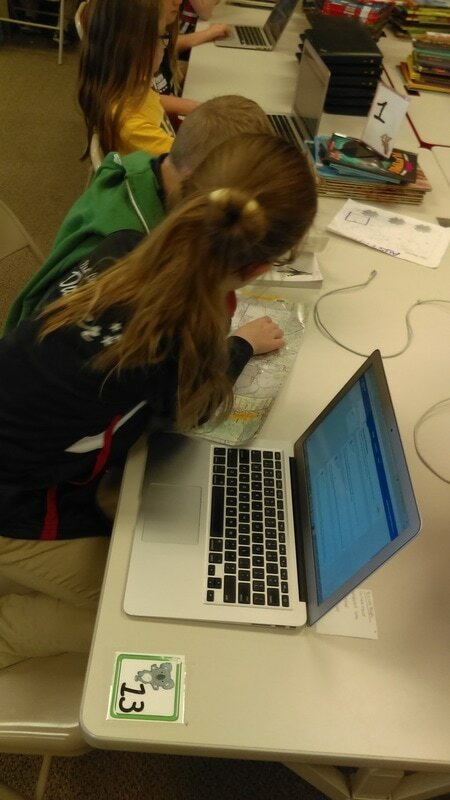 They have begun their extraction and note taking on the concepts of CULTURE, TRADITION, and HISTORY. Many have answered at least one question. 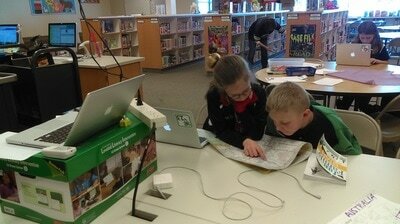 4th grade started looking into their great questions for their concepts; DISCOVERY, GEOGRAPHY, IDENTITY. 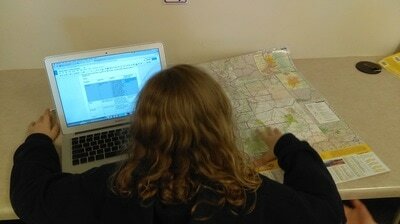 They began using the internet to research the county they had selected in partnerships. Many of them have answered at least one question. 5th grade wrote their responses to the question, How to make the world a better place. This week we will watch some videos of CitizenKids- kids that have found an issue they are passionate about and have come up with an action plan and have had success carrying it out. In Kindergarten most classes have close to half of the students that can tie their shoes INDEPENDENTLY! They are proud of the progress they've made, and so are we. Those students that have mastered it will either be partnered up with a peer as a "mini-teacher" to help them master the skill of independently tying their shoes. The other students will be enjoying books of their choice to read or work on their fine motor skills of tracing, coloring, and cutting. 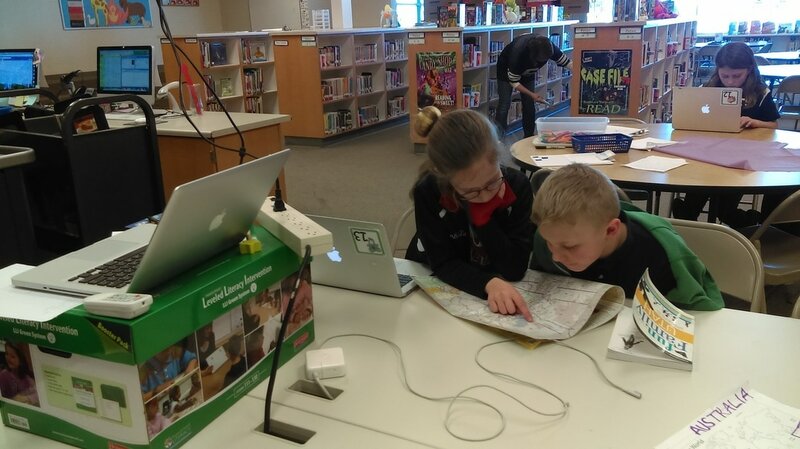 There are a few 2nd graders who have extracted 3 bits of information already and will help the others that are still extracting information from books to answer their great questions about HABITAT, BEHAVIOR, and INTERACTION. They have answered one question. They are super excited to learn these new things about the animal they chose. 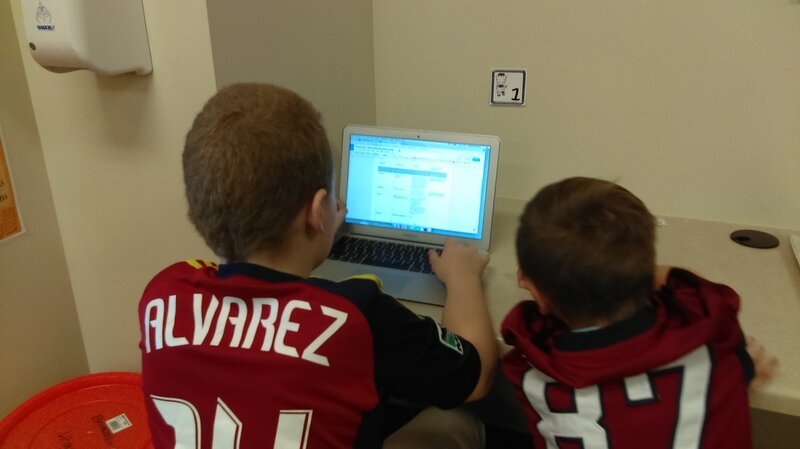 3rd graders have been accessing google classroom to take their notes in their partnerships. They have begun their extraction and note taking on the concepts of CULTURE, TRADITION, and HISTORY. Many have answered at least two questions. 4th grade started looking into their great questions for their concepts; DISCOVERY, GEOGRAPHY, IDENTITY. 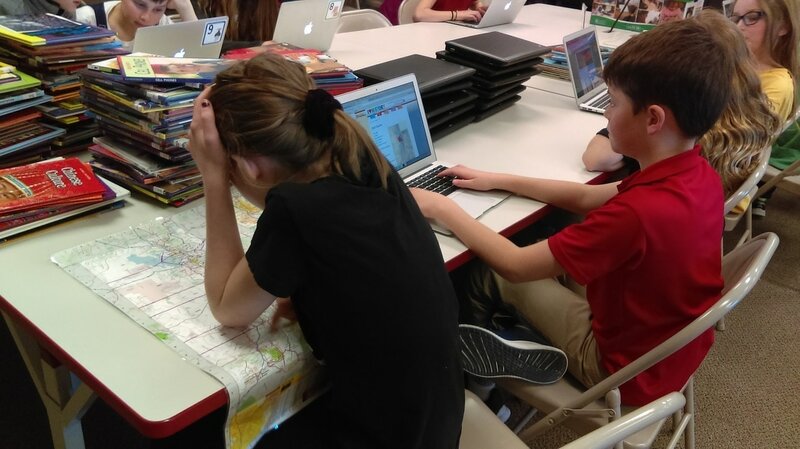 They began using the internet to research the county they had selected in partnerships. Many of them have answered at least two questions. 5th grade will be exploring a variety of issues through a great many books in our library to help them learn about what they have passion for. There are a few 2nd graders who have finished their extracting. We will begin discussing the rubric for the paper bag puppet they will be designing and sharing with the class to teach them about the things they learned about the animal. It's BOOK FAIR WEEK! 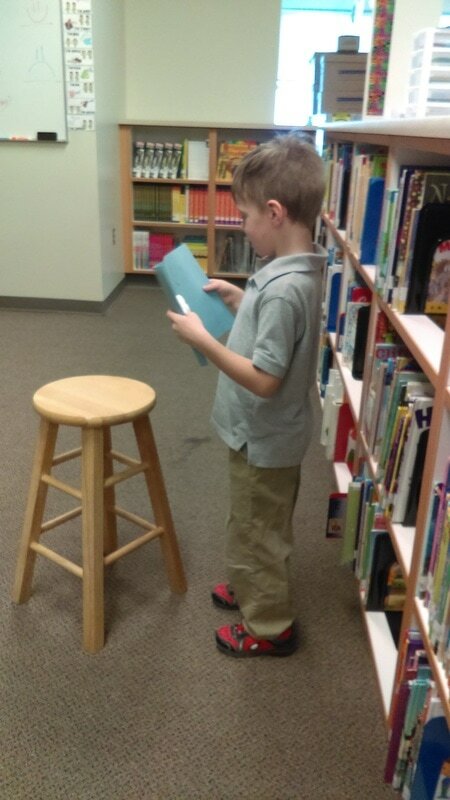 Students will come to library and together we will read books from the fair and enjoy perusing what's available. We will be doing book talks and recommend great books to each other. In 1st grade will begin sharing their cloud diagram with their class. 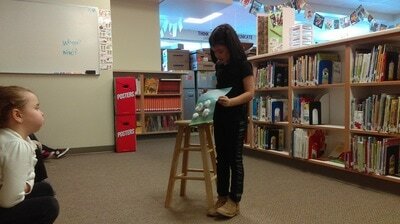 They will present it and then share what resource(s) they used to find this information. They will also reflect on the product and reserach they did. 2nd grade students will be finishing their extraction. If they are finished they will begin planning out the design of their paper-bag puppet with drawing out the animal and planning what colored paper they need for covering the paper bag. 4th grade students will be finishing their extraction. 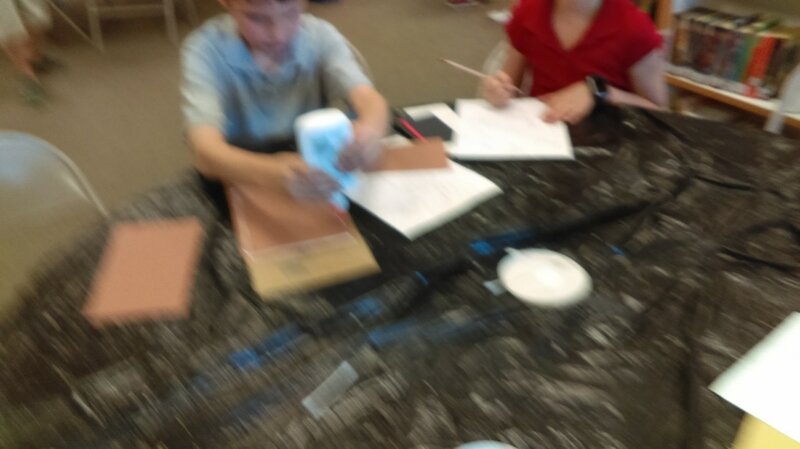 If they are finished they will begin brainstorming the medium and format they want to use to present their research to the rest of the class. 5th grade will be exploring three different issues of their choice and obtain evidence for a letter they will write to persuade the 5th grade teachers in grouping them for exhibition. In Kindergarten this week will be our last week to master tying shoes INDEPENDENTLY. Most students have accomplished tying shoes and they have increased their CONFIDENCE in doing so! HOORAY! In 1st grade will continue sharing their cloud diagram with their class. They will present it and then share what resource(s) they used to find this information. They will also reflect on the product and research they did. 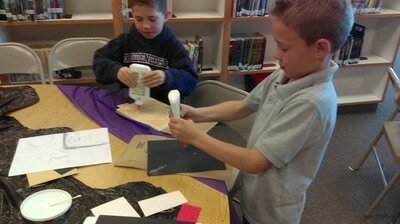 ​2nd grade students will be finishing their extraction. 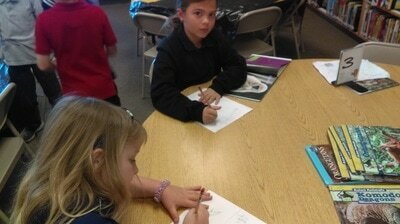 Many began planning out the design of their paper-bag puppet with drawing out the animal and planning what colored paper they need for covering the paper bag. They are looking great. Students will begin cutting, glue, and creating their animal in paper-bag form this week. Pictures to come. Students in 3rd grade will be finishing their extraction this week. Those that finished watched a tutorial of how to find pictures using Culturegrams and selecting pictures they would like to use and pasting the MLA citation found there. There will be a tutorial posted for them to refer to on classroom.google.com. Many have pulled a few pictures. The next step will be that they will begin making a google slideshow to present their information to the rest of their class. ​5th grade will be exploring there exhibition issue. We will talk about how to tell if what you read on the interent is credible and a great source for research, and how to keep track of those resources. Kindergarten has mastered tying shoes. So we are going to have some reflection time about the process it took to research and learn about tying shoes. Students will have a chance to discuss new attitudes and attributes they have developed while mastering this new skill. 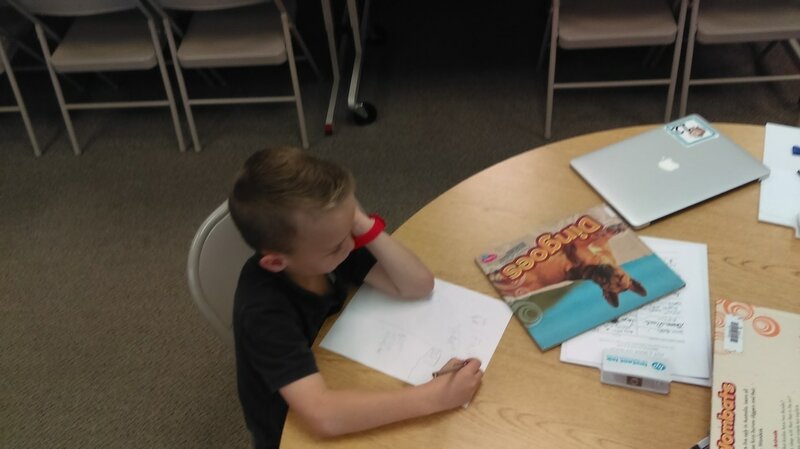 ​2nd grade students began planning out the design of their paper-bag puppet with drawing out the animal and planning what colored paper they need for covering the paper bag. Those that had made their plan started making them into paper bag puppets. This week they will finish creating their puppets and begin writing a paragraph that their puppet will "speak" to teach the rest of the class about their animal. 4th grade students will be finishing their extraction. If they are finished they will begin brainstorming the medium and format they want to use to present their research to the rest of the class. Some began creating their presentation. The chose between electronic and non-electronic presentations. ​5th grade will be exploring there lines of inquiry from their exhibition issue. They will go over how to check an online resource for accuracy and credibility.